Unfortunately, with just $5 in cash in my wallet, I only purchased one box. This is not an uncommon occurrence, since I hardly ever have cash on me and usually pay for everything with a credit card. These days, it seems that just about every restaurant or business accepts credit cards as payment, with the exception of the rare business out there that still does not want to make the switch. After purchasing my box of Caramel Delights, I thought to myself that if they accepted credit cards, I would have probably purchased multiple boxes. According to a 2014 report by Bankrate and Princeton Survey Research Associates International, 50% of Americans carry $20 or less every day, and 9% don’t carry cash at all. With this in mind, think about how you are currently accepting payments from your customers. Are you offering them a way to pay online? 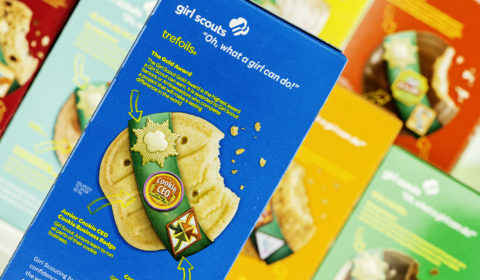 Giving your customers the option to pay securely on their own terms, just like the Girl Scouts did, makes you easier to do business with.